Being a "grey-market" car. the eBay system does not allow the true VIN to be used in the listing details. T his is an absolutely gorgeous Daimler DS420 limousine out-fitted in 2-tone black over Royal Claret with black and light grey Connolly hide interior and matching floor rugs. The car is finished with twin gold fine-lines on the body contour line. Overall the combination presents very elegantly indeed and is amongst the most desirable of colour combinations. bringing that "Royal Mews" touch. These are rare cars. This one is out of only 170 made in 1985. In total. she is 1 out of some 4. 00 made over 24 years of production. This is less than one tenth of Rolls-Royces produced over that period. The Daimler linousine was built for "Heads of State" world-wide. to include the English Royal family. for luxury hotels. like the Intercontinental Hong Kong and were the car of choice for many formal limousine hire companies. This particular DS420 was imported from the UK by its 1 American owner 17 years ago and is a superb example. These Daimlers were never imported into the USA when new. She is a very clean and predominantly rust-free which. in itself. is a major advantage as these cars were renown for their rust issues. Please look at the photos of the underside to see just how clean she is. The car has been held in private service by a southern state industrialist for the whole time she has been in the US. She has been regularly maintained and always housed in a private car collection climate controlled environment. The body on this car is straight and the paint is excellent having undergone a complete high-end repaint some 10 years ago by a Jaguar experienced body-shop. Cost equivalent today of some $30. 00. It does have only the most minimal little marks here and there from normal use since then but presents beautifully. The paint is consistent and lustrous and simply stunning. The interior of the car is in stunning condition with excellent light grey Connolly hide leather upholstery in the rear passenger section. The driver's quarters is black "Jaguar" vinyl. There is a small and minor split on the driver seat at the stitching which is an easy fix that we are happy to attend to at no charge prior to delivery. All the wood throughout the car is original and in very good condition. There are a couple of minor hairline cracks in the dash by the glove box but this is not glaringly obvious. The wood and lacquer finish is shiny. without any lifting and the wood presents rich in grain – it presents in “excellent” condition compared to the average example and I would rate it a 9. 5 out of 10. There is no sagging or wear in the headlining. It presents in original appearance and the carpet is excellent. The deep grain and glossy finish of the rich grained wood in this example contrasts beautifully with the greys and blacks – making the interior of this car very rich and inviting. All interior chrome finishes are virtually perfect. Overall it is like new and smells like it too. All interior features and functions are fully operational including electrics – windows. division. gauges. lights etc. The A/C blows icy cold. Everything is also clean and crisp. It has had a new stereo system fitted (currently inoperative). which detracts from the appearance. in my opinion. but any original Jaguar factory unit of the period is suitable for those who want to keep the car “pure”. The chrome. stainless steel and bright work finishes are all good without any pitting and the glass around the car is very fine. All interior and exterior lights work correctly. Mechanically. the car is in superior condition and the original presentation under the bonnet clearly shows that. The car has had extensive regular maintenance by its previous owner so you can be assured of a quality and caring ownership. Exhaust is good with new mufflers fitted in more recent times. The tyres on the car are near new. This is a Daimler 420 that appears to have had all its usual nuances and typical issues of its age attended to and so is ready to go. The 54. 00 miles is not verifiable but the car certainly presents as a low mileage example. This is a 10 out of 10 driver example that needs nothing else doing. 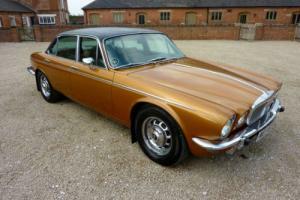 It makes for a gorgeous “weekender” that you could take to your next Jaguar/Daimler meet with pride and joy. (The number plate is included in the sale and is the correct "new-issued" number plate for the car when first sold new in 1985. The "LD" part of the plate stands for "Greater London" so you know it was most likely a Westminster or similar region car). Please take the time to look at the photo link below to many additional photos where I have endeavored to capture how pretty this car is. Please feel free to ask any and all questions you may have as it is an as-is listing. International Buyers are always welcome! The Daimler limousine DS420. 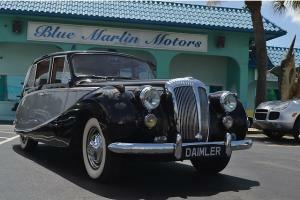 popularly known as the Daimler Limousine. is a large limousine produced by The Daimler Company Limited between 1968 and 1992. The vehicles have been used by the British. Danish and Swedish royal houses. 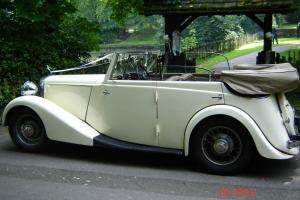 The car is still commonly used in the wedding. funeral. and hotel trades. The Limousine was based on the floorpan of Jaguar's 420G flagship (not to be confused with the smaller Jaguar 420). but with a wheelbase extended an extra 21 in. The frontal styling was similar to the original Daimler Sovereign. with the Jaguar four-headlight treatment first seen on the 420G's predecessor. the Mark X. mated to a Daimler radiator grill bearing the traditional fluting. Jaguar Mark X/420G underpinnings were also apparent from the twin ten gallon fuel tanks set in each of the rear wings. each with its own electric SU pump selected by a dashboard mounted switch. The driver sat on a full width bench seat in a relatively upright position which was said to make length-wise adjustment for different sizes of driver unnecessary. although there was 2. 75 in of telescopic adjustment available on the low-set steering wheel. Three of the six rear passengers sat on a bench-seat behind the glass division in opulent comfort — the DS420's rear seat spanning over 6 feet in width. although shorter than the Rolls-Royce Phantom. Three more passengers could fit on occasional fold-up seats. The Daimler was always half the price of even an "off-the-peg" standard series production long wheel base Rolls-Royce Silver Shadow. The top speed available from this 245 bhp. three speed automatic. independently suspended. four wheel disc braked Daimler limousine was 110 mph. The big Daimler was considered to be a fine vehicle for the cost with its Le Mans-winning Jaguar engine. the last car to use it. and bespoke construction. 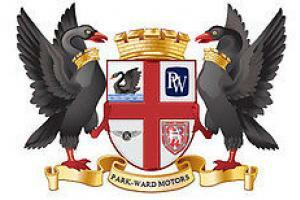 Originally the cars were built at the Vanden Plas works in Kingsbury Lane. London. from bodyshells made by Park Sheet Metals Company assembling panels supplied by Motor Panels of Coventry and by Pressed Steel Fisher. Early limousines bore the 'Daimler Vanden Plas' designation on treadplates and workshop manuals. The Kingsbury Plant was closed in 1979 and production moved to Jaguar in Coventry. where it continued until 1992. The move to Coventry also brought the third facelift in the car's life. when less attractive larger bumpers and a revised rear number-plate surround were fitted. The previous facelift occurred in 1972. modernizing the window arrangement for the rear passengers. namely how the previous design's opera windows having a split with one portion that could be rolled up and down and one static. being replaced with one single window that could be rolled up and down. It also addressed the corrosion issue of earlier cars (which related to this previous opera windows). slightly changed the dimensions of the grill and badge placement on the exterior. and lessened the amount of woodwork in the interior. The third and final facelift was made in 1987 with the arrival of new plastic bumpers and minor changes to the interior. This last model known as MkIV was produced until 1992. when Jaguar/Daimler ceased production of their last coachbuild limousine. As well as the complete limousine. the factory also supplied part-bodies to external coachbuilders to allow them to construct hearses. Delivered vehicles varied from very basic models with wind up windows to a mobile boardroom. that was reported to have been designed for use by Jaguar boss Sir John Egan in 1984. complete with TV. computer. printer and Cocktail Cabinet. The DS420 was very much a bespoke vehicle. with an extensive list of options. Individual owners tended to fully option their cars. The service industry. including the funeral trade and limousine companies. tended to lightly option their cars. Until the early 1980s. after their purchase by Hertz. Daimler Hire was one of the largest clients. Daimler Hire cars were offered as limousine transportation. as well as for state and official use. As such. most Daimler Hire cars are well optioned. including electric division window. air conditioning. matching leather interiors. and the official use hood flag mount. Always hand-made. the DS420 had a fascia very similar to some contemporary (in 1968) Jaguars. particularly the Mark X and 420G. remaining faithful for many years to the old fashioned steering column and to the pencil-thin steering wheel. Two cars have been built in landaulette bodywork by the factory (and apparently neither have survived). but many have been converted to laundaulettes for the wedding car industry (some more successfully than others). By 1992 the DS420 was the only model in the Jaguar range still using the XK engine. along with other parts of the drive train and suspension. and although the car still appealed to its traditional customers. production was no longer economic. No direct replacement was produced by Jaguar. although coachbuilders have adapted the Daimler version of the XJ6. The British Royal Mews is now in possession of three Daimler DS420s available for Royal use on state occasions and for visiting dignitaries. The late Queen Elizabeth The Queen Mother had four DS420 models over the years (all registered NLT1 or NLT2). including one of the last three models to be produced in 1992 (the other two going to Queen Elizabeth II. although rarely used. and the other retained by Jaguar for use in Coventry. now in the possession of the Jaguar Daimler Heritage Trust). All of the cars delivered for royal use featured certain special features including cloth seats. removal of chrome around the doors. a bullet-shaped blue light and a mount on the roof for the Royal Standard and Coat of Arms. These cars were a reminder of the royal patronage that Daimler lost to Rolls-Royce in the early 1950s. 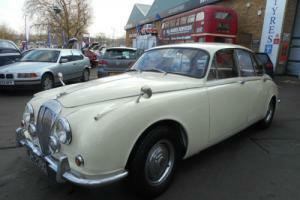 One of the Queen Mother's Daimler DS420s. painted in Royal Claret. is now in the Royal Mews. along with two other models already owned by the Queen. These are classed as state cars although. unlike the Royal Rolls-Royce and Bentley models in the royal fleet. they do have number plates. One of the most famous late appearances of the DS420 was for the funeral of Diana. Princess of Wales; respectively. both the hearse and the mourning limousine following it were DS420s. The Royal Family of Denmark. in addition to many other prestigious vehicles. have three Daimler DS420s. Jean. Grand Duke of Luxembourg. used a Daimler DS420 with the registration number '1' as his official limousine from 1970 to 1988. The Daimler DS420 is widely used among the funeral trade. serving as both the executive car for grieving relatives and the hearse for the deceased. after customization to fit funeral needs. It was once seen in official use across the world. including by the Danish Royal House. the Governor of Tasmania. Australia. and the Governor of Bermuda. The vehicle was also purchased by many local authorities and embassies. The Inter-Continental Hotel. Hong Kong. formerly The Regent Hotel has been said to have purchased twenty-two Daimler DS420s across the years. This Daimler is part of a private collection. Although licensed and bonded. I am not a main-stream retail car dealer or broker; I am a professional car collector of some 35 years with considerable experience and knowledge of British cars. I have a long standing reputation being associated with the Rolls-Royce marque which I take seriously. I take pride in my cars and have fun in collecting and restoring them. However. auctions are not a game so when you place a bid or offer. and you are the winning bidder. please understand you have entered a binding contract. You cannot bid and win the auction and expect not to meet the terms and conditions. Bidding and/or winning does not mean you are expecting me to “hold” the car until you have the opportunity to inspect it. Any inspection contemplated should be undertaken BEFORE you bid or make an offer and I openly welcome any potential buyer to come and personally inspect the car. Once you bid or make an offer. you are doing so to buy WITHOUT conditions. Your bid can not be subject to anything. A $2000. 00 deposit (non-refundable) is required within 24 hours of the close of the auction and payable by PayPal. The balance of funds are required within 7 days of the close of the auction and must be provided by cashier&apos;s check or bank wire. I cannot accept PayPal for the balance unless you are willing to meet the cost of transfer fees. Full payment must be made (and payments cleared) before the title and/or the vehicle is released. All payments are non-refundable. Payments as described above form an important part of this purchase contract and so. if all the funds are not received as outlined above. I reserve the right to terminate the transaction without notice. If there has been any deposit or other part payments received and I elect to terminate the contract. I reserve the right to keep any such deposits or payments and resell the vehicle to another bidder or interested party or re-list the vehicle at any time. To be clear. if you change your mind for ANY reason and do not complete the transaction in the time-frame required. you will forfeit your deposit. I am happy to assist with shipping arrangements on a national and worldwide basis but the winning bidder takes full responsibility for pickup and/or shipping and at his cost. The vehicle is being sold "as-is/where-is" with no warranty expressed. written or implied. Any descriptions or representations are made with reasonable judgment and all efforts are made to ensure fair assessment and accuracy but they are for descriptive and identification purposes only and are not to be construed as a warranty of any type. The seller shall not be responsible for errors in description. authenticity. genuineness. or defects herein and makes no warranty in connection therewith. If any aspect of the description contradicts what can be seen in the photos. then the photos shall prevail as the reference point. No allowance or set aside will be made on account of any incorrectness. unforeseen imperfection. defect or damage. It is the responsibility of the buyer to have satisfied himself as to the condition and value and to bid based upon that judgment solely. The seller shall and will make every reasonable effort to disclose any known defects at the buyer&apos;s request prior to the close of the auction. Seller assumes no responsibility for any repairs regardless of any written or oral statements about the vehicle. Being a classic car in excess of 10 years of age. in most US states. the mileage may be recorded as “exempt”. In this regard the seller makes no warranties as to the accuracy of the mileage indicated or shown. I can hold the vehicle up to 30 days while you arrange shipping but you must immediately insure it. I will not bear any responsibility for any additional costs including storage. transportation. or repair after the close of the auction. Whereas I am happy to store the car in excess of 30 days from auction end. a cost of $35 per day shall apply beyond 30 days of auction end. Also. you must remember that this is a 40 year old vehicle. and while it is up to you. I do not recommend you just “hop in and drive it across the country” until you have familiarised yourself with the car. At least. I have never done that. I have always professionally transported the cars in enclosed carriers from where I bought them to my home. Please further note: This Daimler is a 1985 VIN and specification car. All documentation from Daimler factory and industry expert sources confirm the production year as 1985. The title. however. indicates 1975 which reflects what must be (in common sense) a clerical error in licensing in the US. That said. the seller takes no responsibility or liability whatsoever for this error and it shall be entirely the buyers duty to "live with" this error or apply for a change. the latter for which the seller takes no responsibility if even possible. I am sorry if these terms seem harsh but there seem to be some very unrealistic buyers out there - fortunately. only few of these people exist but those that do can make life difficult. so it appears EVERYTHING needs to spelled out. Very simply put. this is an old car being offered for sale. It is not new and is subject to the perils of age. Further. Jaguars are not without nuances. idiosyncrasies and they are renown for a host of design issues which can make them not inexpensive to maintain. So. please respect the terms and conditions when you bid.